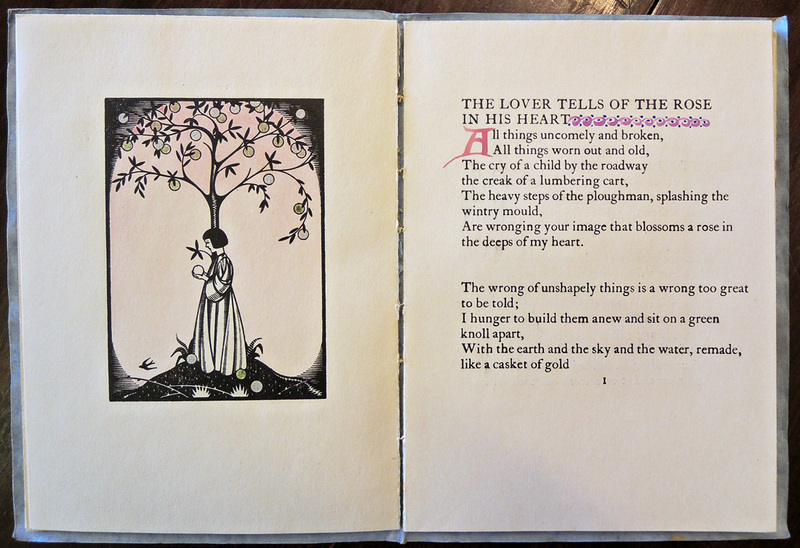 The Graphic Arts Collection recently acquired a first edition of a 1935 selection of William Butler Yeats’ poetry, privately printed by the Cuala Press, 133 Lower Baggot Street, Dublin, for Eleanor Lady Yarrow. Its pages are, as yet, uncut and it is still bound in its original light blue paper wrappers. Not only is our book one of only 30 copies printed by the poet’s sister, Elizabeth Corbet Yeats (1868-1940) but it is Miss Yeats’ own copy, with her bookplate inside the cover [pictured to the left]. The hand colored frontispiece [seen below] was designed by Dublin artist Victor Brown, a frequent Cuala Press contributor, then heightened with gold. Miss Yeats added hand drawn initials and ornaments throughout the volume. 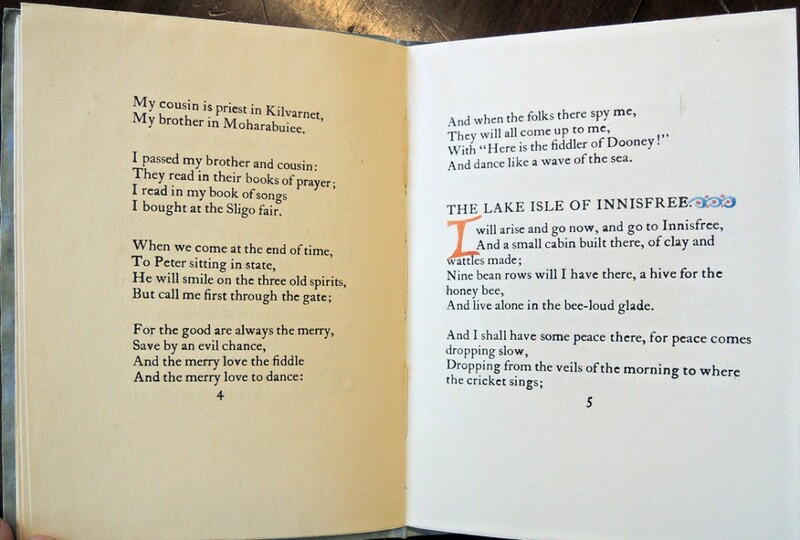 This book is considered one of the rarest and most desirable of all the Cuala Press books (only one copy is known to have appeared at auction in the past thirty years) and we are thrilled to add it to Princeton University Library’s already extensive Irish collection. 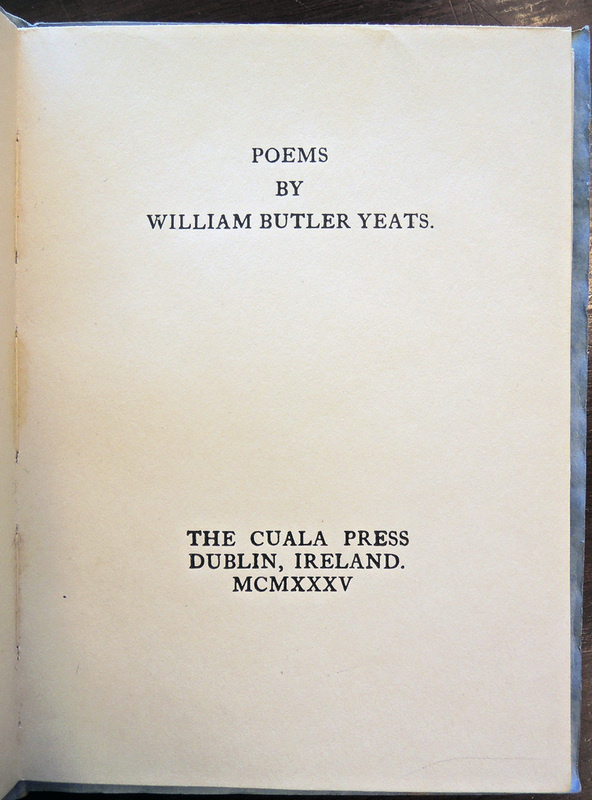 William Butler Yeats (1865-1939), Poems (Dublin: Cuala Press, 1935). One of 30 copies. Graphic Arts Collection GAX 2015- in process. 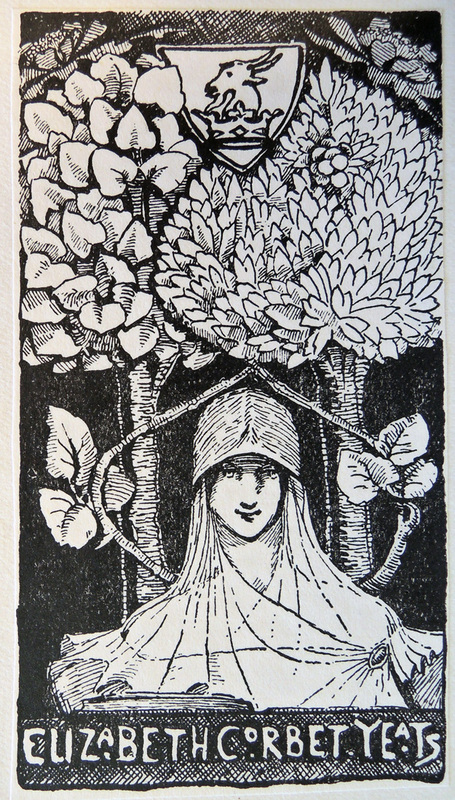 This entry was posted in Acquisitions, fine press editions, Illustrated books on February 20, 2015 by Julie Mellby.